The property owners overlying the Atascadero Basin, in collaboration with the Templeton Community Services District (TCSD), City of Atascadero (City), and Atascadero Mutual Water Company (AMWC), are working together to develop a groundwater sustainability agency (GSA) that will develop and implement a groundwater sustainability plan (GSP) for the Atascadero Basin (separate from the Paso Basin) in compliance with the new Sustainable Groundwater Management Act (SGMA). 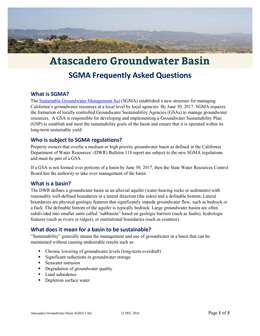 SGMA is made up of three separate pieces of legislation — AB 1739 (Dickinson), SB 1168 (Pavley), and SB 1319 (Pavley). 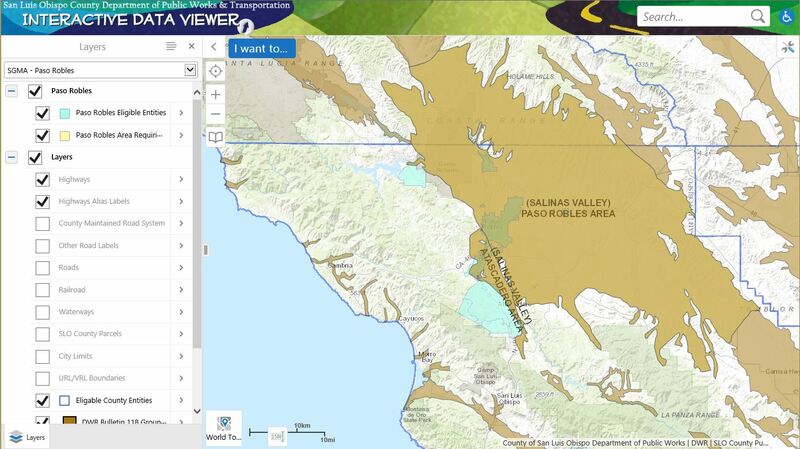 Several recent studies have confirmed, the Atascadero Basin is hydrologically distinct from the Paso Basin. 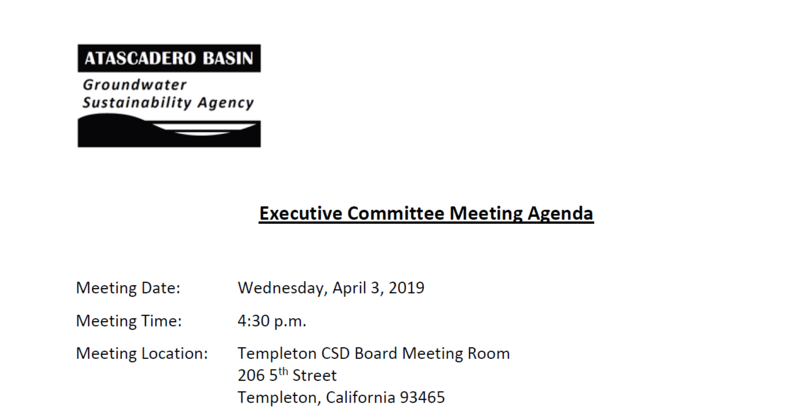 The San Luis Obispo County Board of Supervisors has distinguished the Atascadero Basin in its Resource Capacity Study and excluded the Atascadero Basin from the urgency ordinance it adopted in August 2013. The ability to manage demand in the Atascadero Basin is distinctly different from the Paso Basin. In 2009, urban use accounted for approximately 75% of the groundwater being pumped from the Atascadero Basin. The urban pumpers have greater flexibility in managing demand than pumpers that are irrigating permanent crops. In addition, water from the Nacimiento Water Project (NWP) has a greater influence on groundwater levels in the Atascadero Basin than it does on water levels in the Paso Basin. Even before the urban pumpers began discharging water from the NWP into the Atascadero Basin, groundwater levels were stable and only showed seasonal variations. Both AMWC and the TCSD are currently seeking to increase their use of water from the NWP in the Atascadero Basin to over 3,500 acre-feet/year from 2,250 acre-feet/year, which will ensure the long-term sustainability of groundwater for all users in the basin. 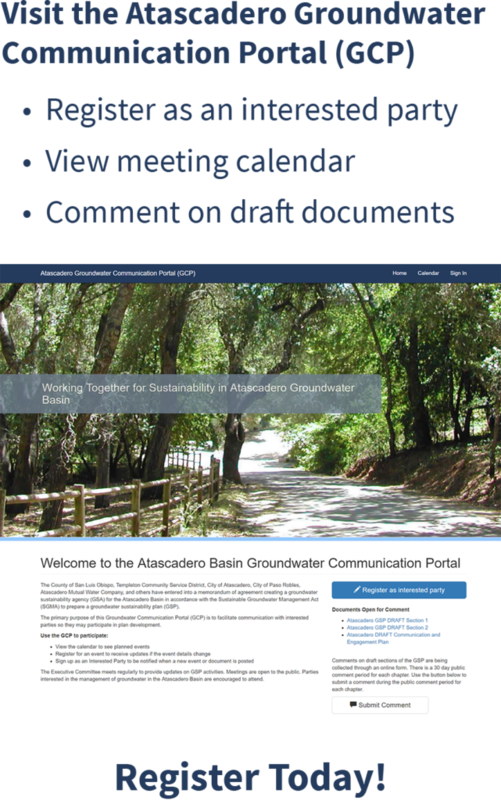 Are you in the Atascadero Basin? Please note, loading time may take up to 1 minute.